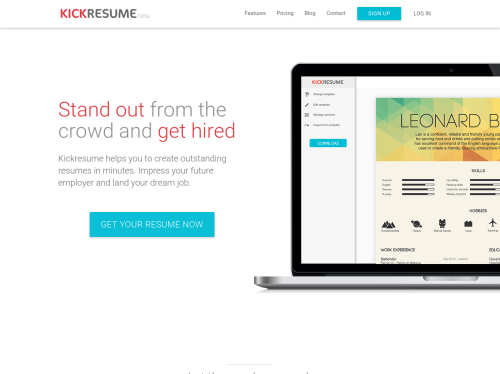 Kickresume helped more than 300 000 people to create well-formatted resume in minutes. Several eye-catching templates, fast and simple usage and professional HR support help you to stand out. Try world's most advanced resume builder.